What single factor will determine the success of your Maine wedding? Packed dance floors. If you’re like the typical bridal couple, success is defined by the dance floor, If it is empty, the wedding is considered a failure, but if it is packed, it is considered a success. And if it is packed all night long, well, that is the gold standard for wedding success, at least according to the many couples we’ve worked with over the years. Here’s the deal, though, each wedding couple is unique. You’ve got your own personality and your own idea on what defines class, style, and energy. 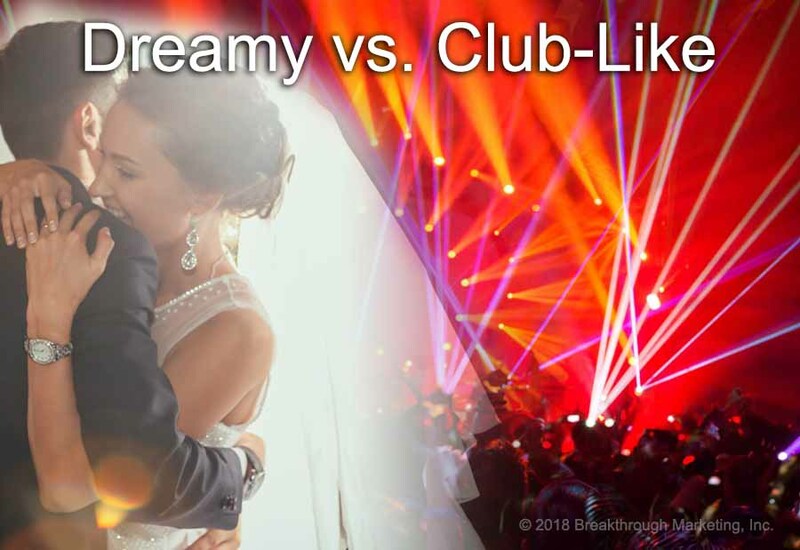 Some Maine couples want their reception to have the feel of a dance club, complete with high energy music and fabulous club lighting.